The MiSeq FGx™ Forensic Genomics Solution is the first fully validated massively parallel sequencing solution designed for forensic science. The MiSeq FGx Forensic Genomics Solution delivers far more insight from forensic DNA than traditional methods with higher resolution than ever before possible. You’ll find the answers you need with a greater degree of certainty with the focused power of Verogen forensic genomics solutions. 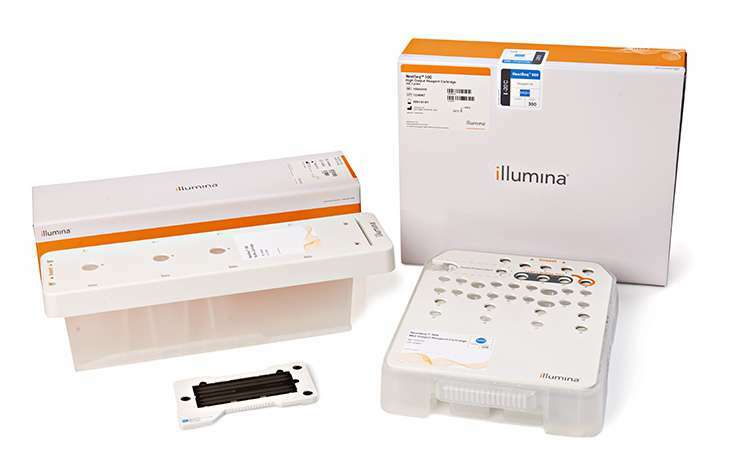 The MiSeq FGx Forensic Genomics Solution harnesses the power of Illumina’s gold standard sequencing technology. Now forensic examiners can develop more detailed profiles from degraded, mixed and limited biology evidence samples, addressing a wider range of questions in a single interrogation. Dedicated library kits and analytical software take you from DNA to answer with streamlined efficiency. Enables analysis of over 200 genetic markers using a single, streamlined workflow. The most complete, integrated workflow currently available, with the lowest base-by-base price. Because better data needs smarter software. Specifically designed to make forensic genomics data review easy and efficient. See exactly what’s in your sample at every locus, at every base. Ensure the data is the highest quality for reliable results. now available from Verogen for forensic applications. Generate high quality sequencing data for additional applications. NextSeq 500/550 sequencing reagent kits bring the power of a high-throughput sequencing system to the desktop. From sequencing to array-based technology, we’ve got you covered. Let us know what you need, and we will get back to you promptly.